The New Yorker's bombshell story about alleged harassment at CBS came out while "60 Minutes" staffers were enjoying their annual summer break. Now the vacation is over. The staffers are coming back to work. And they are wondering who's in charge. Jeff Fager, the executive producer of "60 Minutes," stands accused of making unwanted advances and enabling harassment by others in positions of power at the newsmagazine, according to Ronan Farrow's report in The New Yorker. Fager firmly denied the allegations. He seems determined to defend both his own reputation and the esteemed "60 Minutes" brand. But the accusations of misconduct came as no surprise to "60 Minutes" veterans, who had long suspected that stories might be coming. Now CBS staffers are openly wondering if Fager will be replaced -- a smaller-scale version of the speculation that has enveloped CBS CEO Les Moonves in the wake of Farrow's story. Multiple staffers told CNN that they don't see how Fager can remain in the job. The speculation ramped up on Wednesday when some, though not all, "60 Minutes" staffers returned to work. Fager's No. 2, Bill Owens, was there, but Fager was not. Some sources said Fager's vacation was always scheduled to continue for a few more days. The newsmagazine goes "dark," in TV speak, during the summer months. New seasons premiere in September. So the full staff is due back in the office next Monday -- and Fager said he will be there. In response to a question from CNN about his status, Fager said, "I am handling everything and today was our first day back but I'm not in the office until Monday." "60 Minutes" is beginning its 51st season. The season premiere is slated for Sunday, September 30, so the clock is ticking. A CBS News spokeswoman declined to comment on Wednesday. But the news division previously told The New Yorker that it is investigating the accusations against Fager. The law firm Proskauer Rose is conducting the review. It is possible that Fager will be sidelined until the law firm's work is complete, a source familiar with the matter said, but no decision has been shared with staffers yet. Fager has both supporters and detractors on the "60 Minutes" staff, some of the sources told CNN. One of the veteran staffers said "no one really wants to see him go," but that's because "they're afraid of what would come next." There is considerable uncertainty about who would replace him at the helm of the program. The situation is exceedingly delicate because Moonves' future at CBS is also up in the air. Six women told Farrow that Moonves sexually harassed them. In a statement to The New Yorker, Moonves said, "Throughout my time at CBS, we have promoted a culture of respect and opportunity for all employees, and have consistently found success elevating women to top executive positions across our company. I recognize that there were times decades ago when I may have made some women uncomfortable by making advances. Those were mistakes, and I regret them immensely." In a way, the fates of Moonves and Fager are intertwined. Because both men have been publicly accused of wrongdoing, several sources suggested it would be strange to see action taken against one, but not the other. The CBS board of directors said Wednesday night that it is hiring two law firms, Covington & Burling and Debevoise & Plimpton, "to conduct a full investigation of the allegations in recent press reports about Chairman and CEO Leslie Moonves, CBS News and cultural issues at all levels of CBS." "60 Minutes," of course, has long been a reliable source of prestige and profits for Moonves and CBS. It has produced some of the best journalism in the history of television. Fager is only the second executive producer in the program's history. Fager was also the news division's chairman from 2011 until 2014, when he returned to "60 Minutes" full time. His longtime association with former CBS anchor and "60 Minutes" correspondent Charlie Rose was scrutinized when Rose was fired for alleged misconduct last November. Fager said he did not know about Rose's behavior. Rose has apologized for "my inappropriate behavior" but said he did not believe the allegations are accurate. The Washington Post, which broke the news about Rose, also investigated Fager and the culture of "60 Minutes." But The Post ultimately left Fager out of its story. The Daily Beast later reported that Fager "hired a law firm that boasts about 'killing stories'" to deal with the Post investigation. Farrow folded the behind-the-scenes legal battle into his fuller story about CBS, which came out last Friday. The Post reporters, Irin Carmon and Amy Brittain, "uncovered substantial evidence of misconduct by Jeff Fager amongst other things," Farrow said on CNN's "Reliable Sources." "That story was the subject of a heated battle where The Post was subject to a lot of pressure from Fager's personal legal team," he said. "Obviously, we also dealt with Fager's legal team. And there were efforts to personally smear those reporters and their professionalism as well as sources in the story." Carmon alluded to this when she accepted an award for her Rose reporting in June. Fager was there, too, to accept a different award on behalf of "60 Minutes." "The stories we've been doing are actually about a system," not just individual offenders, Carmon said. "The system has lawyers and a good reputation, it has publicists. It has a perfectly reasonable explanation about what happened. It has powerful friends that will ask, is this really worth ruining the career of a good man? What one woman says, what four women say, what 35 women say? Indeed, the system is sitting in this room. Some more than others. The system is still powerful men getting stories killed that I believe will some day see the light of day." 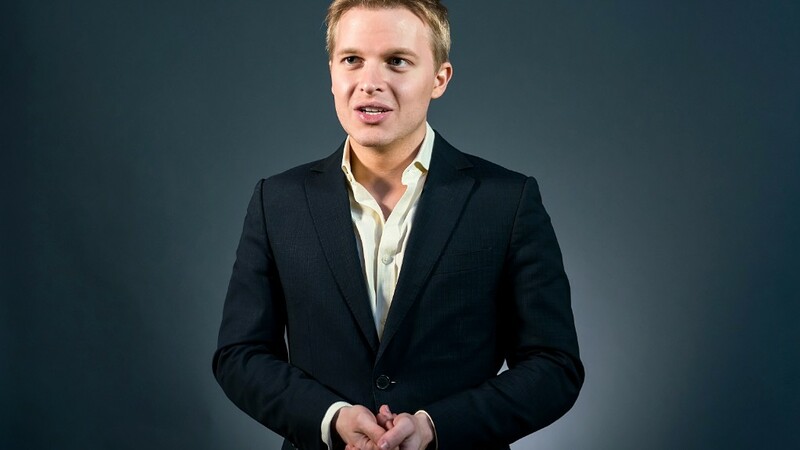 Farrow's 8,000-word story included disturbing allegations about the work climate at "60 Minutes," going beyond the longstanding impression that it was a "boys club." "Six former employees told me that Fager, while inebriated at company parties, would touch employees in ways that made them uncomfortable," Farrow wrote. And he cited "nineteen current and former employees" who said Fager "allowed harassment in the division." Fager said Farrow's sources -- a "few people," he claimed -- had an "axe to grind." Fager said the sources were "using an important movement as a weapon to get even," referring to the Me Too movement. He said "hundreds of women and men" have thrived at the newsmagazine. He also told Farrow, "There's a reason these awful allegations have not been published before -- despite the efforts of a few former employees who did not succeed at '60 Minutes.' It is because they are false, anonymous, and do not hold up to editorial scrutiny." The Post issued a statement standing behind the investigation, saying all its stories are subject to rigorous standards. Fager did not respond to further questions on Wednesday. CBS News has been reeling from reports about misconduct for the better part of a year. The allegations against Rose spurred several announcements about internal changes. The Post's followup story in May, containing evidence that some managers were told about Rose's alleged wrongdoing, was met with an announcement that an outside law firm had been retained. The CBS chief compliance officer invoked that law firm in a statement to Farrow last week. "CBS previously retained attorney Betsy Plevan of Proskauer Rose to conduct an independent investigation of alleged misconduct at CBS News. Ms. Plevan's work is ongoing, and includes investigating allegations in this story. CBS has taken the allegations reported in the press seriously, and respects the role of the press in pursuing the truth, which is a role that is central to the mission of CBS News."